The 18-hole Beaverdale Golf Club in Cambridge, ON is a semi-private golf course that opened in 1962. Beaverdale Golf Club measures 4604 yards from the longest tees and has a slope rating of 112 and a 64 USGA rating. The course features 2 sets of tees for different skill levels. 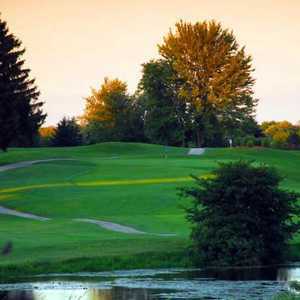 The 9-hole Brookfield Country Club - Blue in Cambridge, ON is a semi-private golf course. Brookfield Country Club - Blue measures 2624 yards from the longest tees. The course features 3 sets of tees for different skill levels. The greens are bent grass and the fairways are bermuda grass. Cambridge Golf Club has a quiet, secluded location but it is still only minutes from Kitchener, Guelph, Milton, and several other major towns. It is conveniently situated between Toronto and London. The 18-hole Galt Country Club in Cambridge, ON is a private golf course that opened in 1906. Designed by Stanley Thompson, Galt Country Club measures 6304 yards from the longest tees and has a slope rating of 125 and a 69.1 USGA rating. The course features 6 sets of tees for different skill levels. 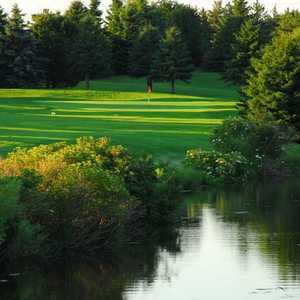 The 9-hole Brookfield Country Club - Gold in Cambridge, ON is a semi-private golf course. Brookfield Country Club - Gold measures 2764 yards from the longest tees. The course features 3 sets of tees for different skill levels. The greens are bent grass and the fairways are bermuda grass. Located in Cambridge, Grand Valley Golf Course has become an area favorite since opening in 1982. Each of the 18 holes has its own unique character that combine to offer something for every golfer. The front nine of the course features narrow, tree-lined fairways and challenging greens that are difficult to read. What Puslinch Lake Golf Course lacks in length, it makes up for in challenges. Even the most experienced golfers will find this relatively short course daunting. The wide, rolling fairways are densely lined with trees, making accuracy essential. 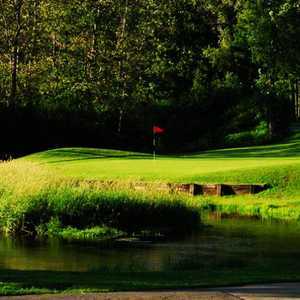 The 9-hole Brookfield Country Club - Red in Cambridge, ON is a semi-private golf course. Brookfield Country Club - Red measures 2420 yards from the longest tees. The course features 3 sets of tees for different skill levels. The greens are bent grass and the fairways are bermuda grass. Sprawling across rolling terrain, Savannah Golf Links features several dramatic elevation changes and several elevated tees and greens. Golfers will be sure to come across many uneven lies. At 6,213 yards from the back tees, it is not a long golf course but it puts a premium on accuracy. The 18-hole Whistle Bear Golf Club in Cambridge, ON is a private golf course that opened in 2001. Whistle Bear Golf Club measures 7562 yards from the longest tees and has a slope rating of 137 and a 76.7 USGA rating. The course features 5 sets of tees for different skill levels.